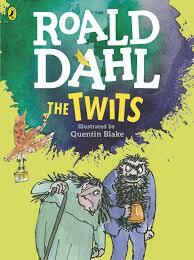 We have launched our class text 'The Twits' for this term and it is already proving to be a fantastic hit with the children in 4R! So far we have written descriptions of Mr Twit's beard and discussed what weird and wonderful items he may get stuck in it over the stretch of a normal day! Whilst writing we have focused on adjectives, commas in lists and fluency within our writing. As we delve through the chapters together this term, we are going to focus on giving our own opinions, about the text, based specifically on what has been read. Why do we think this? How can we prove what we think is a sensible opinion? We have been finding unusual words within our text, predicting what we think they mean and then using a dictionary to see if our predictions are correct. We created different models out of lots of different items of junk! We ended up with a crocodile, rocket and a giant robot! During Maths we have enjoyed acting as shopkeepers and working out customer's orders. We have done this using our Multiplication skills either mentally or using a formal method. We loved reading 'A Christmas Carol' and were so enthralled at making a giant, golden chain of all the valuable lessons we would pass on and why they are important qualities to carry through life. We had a fabulous time visiting 'The Totally Wicked Stadium' home of St Helen's Rugby Club! We enjoyed a tour of the stadium, changing rooms and played lots of rugby drills! This was so much fun! We enjoyed learning about food chains during Science and giving each part of the chain its correct label! In Year 4 we are lucky enough to be given the chance to learn the recorder! During these sessions we have learnt how to play along to different songs, learn the names of various notes and improved massively with our timing and rhythm! Filtering and sieving was a new skill we learnt during our Science topic 'Materials'! We particularly loved venturing outside to our school garden and testing out different types of filter paper! We are thoroughly enjoying our new class text, Matilda! So far we have enjoyed writing character descriptions, letters to Matilda's father encouraging him to allow Matilda to read and character comparisons between the lovely Miss Honey and the dreadful Miss Trunchbull!